With last week’s highly successful launch of LOOK/15 International Photography Festival, there couldn’t be a better time to learn more about this most ubiquitous of mediums. 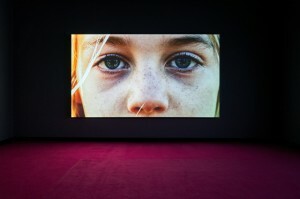 Currently exhibiting at the Bluecoat, photographer Tricia Porter will tonight be in conversation with photographer Othello De’Souza-Hartley (currently exhibiting at the Museum of Liverpool until 06/09) to discuss their experiences of capturing and documenting the people and landscape of the Toxteth area. 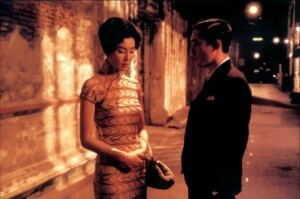 Topics will include their motivations, privacy, creative processes and the findings that they uncovered along the way. 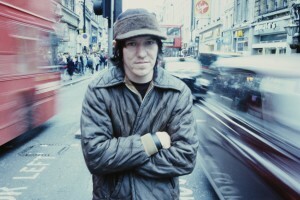 Unbelievably, 12 years have passed since the tragic and untimely death of indie singer/songwriter Elliott Smith. Now, in this directorial debut by Nickolas Rossi, we are able to look behind the veil of fame at the life and music of this iconic yet troubled musician. Journeying through the cinematic landscapes of Portland, New York and Los Angeles (the three cities Smith called home), we witness a meditative yet moving celebration of this revered artists life complete with interviews and ‘ceaseless gems’ (Pitchfork) from Smith’s musical back catalogue. ‘How do we understand the concept of the local within an increasingly globalised context?’ With the rise of new technologies, the internet, advertising and the reshaping of local communities alongside global brands, this question is more relevant than ever. 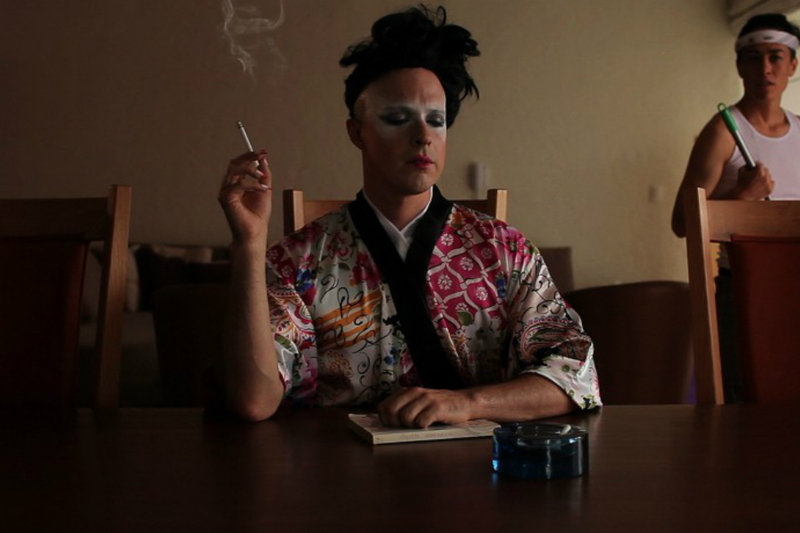 Tonight, artist’s such as Graham Chorlton, Richard Forster, Cameron Galt, Naiza Khan and Stuart Layton attempt to reconcile and understand the conflicts of local and global communities on a social and economic scale. Little-known artist Peter Corbett celebrates a 40 year-long career with this in-depth retrospective of abstract paintings. Bringing together images and poetry from four decades of creativity, we observe organic, flowing contours and canvases of saturated colour that echo the forms of microscopic organisms. With a new base at Bramley Moore Dock and a post-apocalyptic theme, we are promised an absolute belter of a programme at this year’s Sound City. 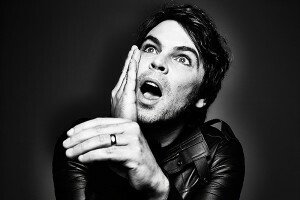 In terms of the line-up, expect Supergrass’s Gaz Coombes (pictured), Dum Dum Girls, Swans, The Cribs and The Membranes to complete with headlining sets from The Flaming Lips, Belle and Sebastian and The Vaccines. Fringe and conference events include the new Alan Wills Award (honouring the Deltasonic founder who sadly died last year); an Aussie BBQ with live (and exclusively Australian) performances plus Brazilica Carnival (think samba meets Mad Max); and keynote talks from legends Edwyn Collins and Wayne Coyne. And if that wasn’t enough, this year will see the impressive tall-ship-come-floating-venue, Kaskelot, play host to a series of parties and intimate shows. 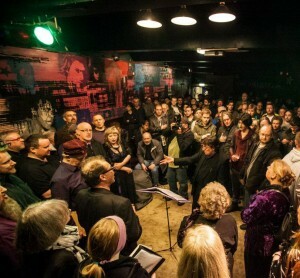 As the Hayward Touring exhibition, Listening, draws to a close this week at Site Gallery, our aural experience is pushed even further in this one- off musical composition by Sheffield’s own self-confessed ‘anti-choir’. Accompanied by a projected film, both trained and untrained vocal performers from across the arts unite to create an entirely improvised, joyous and invigorating cacophony of sounds that develop organically as the music progresses. Surveying 50 works of Perry’s subversive and often autobiographical art, we take a look at Perry’s unique brand of rebellion — from young artist through to his rise as one of the country’s most prolific artists. 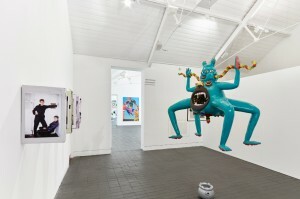 From Super 8 films to sketchbooks and ceramics, Perry has never been shy of tackling the big topics – religion, class, consumerism, war and the ongoing conflict between art and craft — and explains of his working method: “It is a kind of teasing rebellion; it is not a violent revolution”.